Salt life: what is undercoating and why does it matter? For those of us lucky enough to live in some saltier climes, rust is a fact of life. Our cars and trucks succumb to this parasitic oxidation more often than not and there are only a few things we can do to slow the process down. Chief among those is what is universally called undercoating, and we’re going to lay out some of the details here. Some swear that products are very easy to apply with some free time and a few spray bottles. Others recommend a professional shop that specializes in undercoating. Whichever route you choose, be sure to remove as much of the existing rust as possible, and apply a rust “reformer” spray to the stuff you can’t remove. This will convert rust back into a strong/safe material and will allow you to coat or paint it without being concerned about it returning. Professional shops will often charge upwards of $100 dollars for their service, but what they can do (that you might not be comfortable doing) is drill small holes in doors and other panels to apply the coating to the inside of those panels. This means you are less likely to see bubbles coming through your paint and rotting your car from the inside out. Suffice it to say, if you plan on keeping your vehicle for a long time, an undercoating is a safe way to protect your car for years to come. A simple DIY job or a relatively inexpensive professional package will guarantee that your car doesn’t fall pray to rust and leave you wondering why you ever moved to New England. Many people out there don’t quite understand just how drastically different winter tires are from others and as a result, those same people really don’t think that winter tires are completely necessary. “I have all wheel drive, what more do I need?” some will think, or “I have a truck, nothing can stop me” still others will say. Well sadly, circulating the internet one will find plenty of funny Youtube videos of attempts at winter driving that prove otherwise. 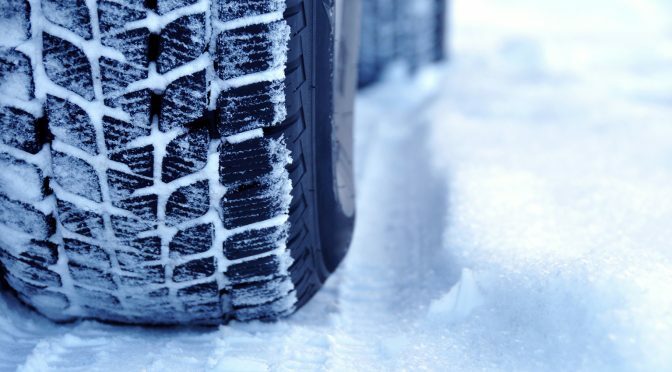 Winter tires are unique in several important ways, a significant one being that they are made of a softer rubber allowing them to flex more than the standard summer (or even all-season) tire. The flex causes the sipes to essentially grab an edge, much like a ski does, and grip the loose snow, sleet and ice. Think of it this way, when the car turns it causes the rubber to deform (more easily than other tires thanks to the softer rubber) and instead of driving on comparatively flat surface, you are now driving on many tiny rubber edges, giving you the unparalleled ability to turn. There is a similar reaction when you accelerate or brake, causing an incredible difference in stopping, going, and turning abilities when compared to any other tire. Some people consider themselves good winter drivers. Either they grew up in climates with adverse conditions or have taken a winter drivers-ed class. However, it’s the unexpected that gets you, that point when you need to turn to avoid the piece of lumber that fell off the truck in front of you, where you really need the winter tire. The only downside to these rubber wonders is that because of the softer compound, they won’t last quite as long as standard tires. It is recommended that you only run them in cooler temperatures as the softer rubber will wear much more quickly on warmer days. Admittedly, nobody likes lugging an extra set of tires to and from the local tire shop, but we promise you that when you avoid the deer that decided it REALLY wanted to give you a heart attack by standing on the other side of the blind corner, you will be thanking yourself for investing in those tires. Do yourself, and other motorists around you, a favor and get a set of snow rated tires.